Lund, 3 – 4 December 2018 – The 14th European Spallation Source ERIC Council Meeting was held in Lund, Sweden. The Council is the governing body of the European Spallation Source ERIC that gathers Member States contributing to the construction of European Spallation Source, the most powerful spallation neutron source producing intense neutron beams for a very large array of instruments for studies of structure and dynamics of matter over a broad range of size scales and energies. 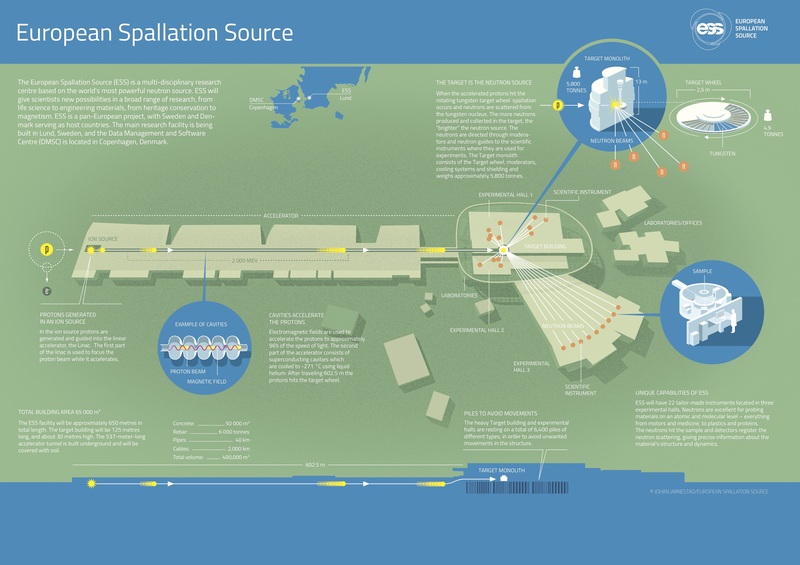 The European Spallation Source (hereinafter referred to as the “ESS”) is hosted jointly by Sweden and Denmark, constructed in Lund, and participated by other 11 Member States of the ESS ERIC, including the Czech Republic. The 14th Council Meeting was organised in the ESS ERIC headquarters´ premises and besides the debate on ESS funding issues provided also the opportunity of visiting the construction site of ESS. 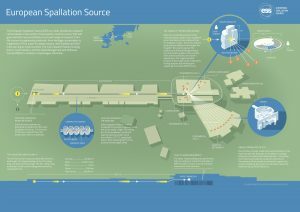 The ESS construction costs reach the level of 1 843 million EUR (in 2013 prices) and need to be further increased by 135 million EUR (in 2013 prices) due to the necessity of meeting additional international radiation safety and security requirements, which were strengthened after the Fukushima power plant accident in Japan. The decision on covering these additional ESS construction costs, jointly with 5.7% of the ESS construction costs, which have not been allocated among the ESS ERIC Member States yet (105 million EUR in 2013 prices), shall be adopted in 2019, as well as the ESS Initial Operations financial plan for the period 2020-2025. 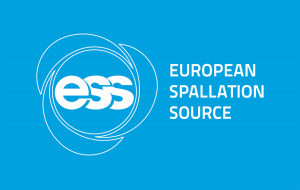 The decision on the 2019 ESS Construction budget and 2019 ESS Initial Operations budget at the level of 66 million EUR (in 2019 prices) was adopted during the 14th ESS ERIC Council Meeting. By entering the Initial Operations in 2019 the ESS will reach an important milestone of its implementation phase, having already completed more than 50% of the construction. The Czech Republic belongs among the ESS ERIC founding Members. The Czech participation in the ESS construction is coordinated by the Nuclear Physics Institute of the Czech Academy of Sciences within the frame of the ESS Scandinavia-CZ project and a complementary project financed by the European Structural and Investment Funds – Operational Programme Research, Development and Education. Mandatory membership fees of the Czech Republic to the ESS ERIC are funded directly by the Ministry of Education, Youth and Sports. 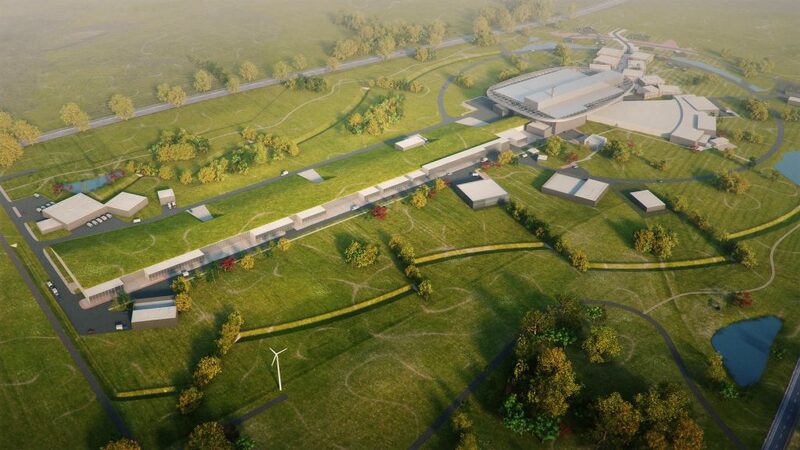 The most important in-kind contribution of the Czech Republic to the ESS construction is delivery of the BEER (Beamline for European Materials Engineering Research). The overall share of the Czech Republic on the ESS construction costs reaches the level of 2%.